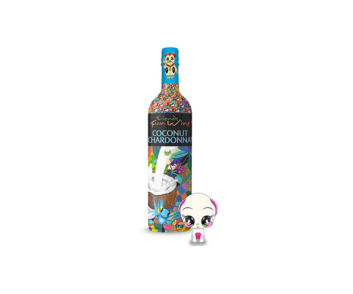 Friends Fun Wine Coconut Chardonnay - Oak Beverages Inc.
Friends Fun Wine Coconut Chardonnay Experience the smoothness of chardonnay with the exotic flavors of coconut and unexpected hint of pineapple undertones. Friends Fun Wine Coconut Chardonnay Experience the smoothness of chardonnay with the exotic flavors of coconut and unexpected hint of pineapple undertones. This is what Miami tastes like! Serve chilled. 750 ml (8.4 oz.) 5.5% Alc/Vol. Friends Fun Wine Coconut Chardonnay – There Used To Be Wine Coolers. Now There Is A Cooler Wine – Fun Wine™.